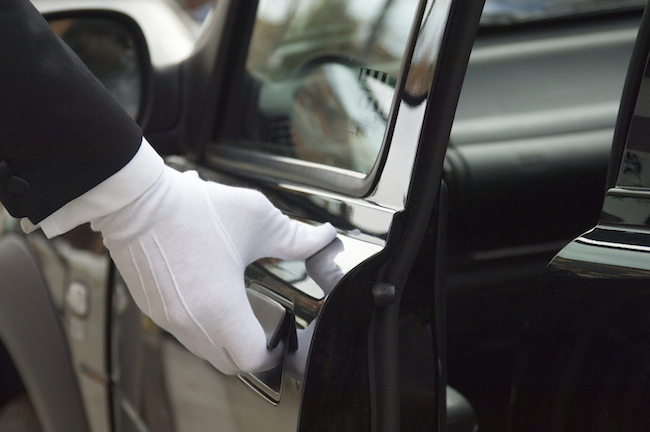 Table App, one of Malaysia’s online restaurant booking site, has just shared that it has partnered with on demand private chauffeur app Uber. The partnership will see Table App users getting a free limousine round trip ride to all the restaurants they made a reservation through Table App. In case you are unfamiliar with Table App, it provides free online restaurant reservation service for diners and guest-management solution for restaurateurs. 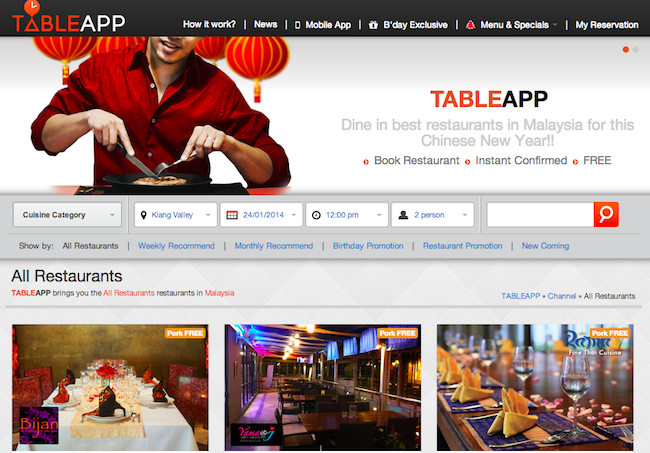 Diners can easily head to the website and reserve a seat at their favourite restaurants in Kuala Lumpur. To date, the website has sent over 10,000 diners to more than 60 restaurants currently listed on Table App. The partnership will see Table App users getting free rides to restaurants in Bangsar on a Uber Limousine. When an user reserve a restaurant that falls around Kuala Lumpur Bangsar area, he or she will receive a Uber promo code which can be used to redeem the free rides. Bangsar lies respectively to the north and south of the neighbouring areas of Pantai Dalam and Damansara, and 4 kilometres (2.5 mi) south-west of Kuala Lumpur city centre. According to Wikipedia, Bangsar is bounded by Jalan Bangsar and Jalan Pantai Baharu to the south, Universiti Malaya to the west, Jalan Damansara (Sprint Expressway and Bukit Damansara) to the north and Bukit Persekutuan to the east. It has the following neighbourhoods or housing estates: Bangsar Utama, Bukit Bangsar, Bangsar Park, Bukit Bandaraya, Taman SA, Bangsar Baru, Lucky Garden, Pantai Hills, and the areas off Jalan Bangsar. The promotion is available from 20th February to 2nd March. Table App seems to be doing well: other than their recent 10,000 diners milestone and the partnership with Uber, it was also included in the package deal cocreated by the four main newspaper in Malaysia alongside Huawei and Samsung. The deal, which is also called “Digital Revolution”, encompasses free tablets and one-year subscriptions to the print edition of The Malay Mail and its e-paper version; the e-paper editions of Malay-language Sinar Harian, Chinese-language Oriental Daily News and the Tamil daily Makkal Osai; as well as 11 other community, sports, contest and entertainment apps. We are definitely looking forward for more news from Table App, which strives to bring online restaurant reservation to foodies in Malaysia.